A resourceful private investigator uncovers layers of deception in his search for an escaped mental patient. Noirish narrator Roland Ford, a former Marine, seems the perfect choice to find Iraq War veteran Clay Hickman, who’s ended three years in Arcadia, an upscale asylum in the mountains of San Diego County, by going AWOL. Ford’s still struggling with his own grief years after the death of his wife, Justine. Clay’s gentility, described by friends like Sequoia Blain, whom Ford interviews in the nearby trailer park, is squarely at odds with his reported history of violence. Ford goes back to Clay’s extensive military record for clues while keeping an eye on Sequoia. Instinct prompts him to trust her. So when Clay returns to her, Ford waits to see what happens instead of reporting this development to his employers. Meanwhile, he delves deeper into Clay’s military records as well as his recent emails for insight into his post-military behavior. He finds so many inconsistencies in the government accounts that he begins to believe Clay’s claims of military misconduct and a coverup. The interference of Clay’s righteous parents complicates Ford’s job even more. When Ford ultimately places his trust in Clay, he knows he’s crossed a dangerous line. But his sense of justice prevents him from following any other path. An impressive series kickoff from the prolific Parker (Crazy Blood, 2016, etc. 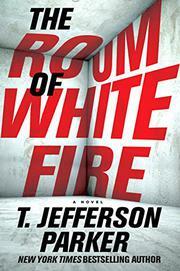 ), packed with interesting supporting characters and written with clarity and economy.